Invalid phone number occurs because you try register to the website with different phone numbers which WeChat didn’t accept, free msg service phones and incorrect number formats. If you try to register WeChat one of these several times (Minimum 3 times), you are going to face with this problem if you even enter your correct number format. 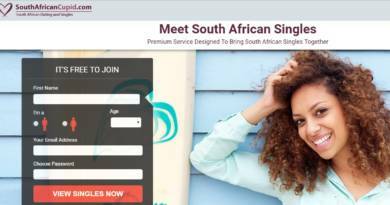 So you will need to wait for 24 hours to register this service again. So if you have tried to register to WeChat and if you got invalid phone number error in your 3 register attempts, you will need to wait for another 24 hours to register again. How you should enter your Phone number while registering to WeChat? Tap and hold WeChat icon on your device. Tap “Uninstall” on Android or red “x” icon on iPhone. Install the application to your phone. If you reinstall WeChat with the steps above, you are going to fix any files that have problems. You can always try registering WeChat with free sms services, however it may disappoint you. It is highly likely that you won’t able to register this service with these services, because most of messengers services are blocking virtual operator phone numbers. You may get an error like “invalid phone number” as you have tried to register to the website with such phone numbers. However if you manage to get a private (paid) sms service or a new phone number service on internet, you can make this work. If you ever get an “invalid phone number” with a phone service, we recommend you to try another one. However you have three chances, use it wisely. I am using my current number on WeChat, however the application doesn’t accepting my phone number. The app says it is invalid number, how can I fix that? However if WeChat is not available in your country, you can still get this problem or if WeChat’s operator hasn’t got any agreement with your GSM operator, you can also get such an error too. I hope this can help you a little bit. 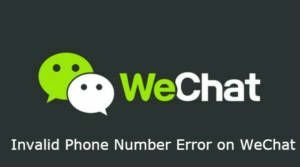 If you think that your phone number is correct at all, you will need to contact WeChat staff directly about this. They are not responding very quick but they are quite helpful about these situations. You can also find more information about how to contact WeChat staff on here: How to Contact WeChat Support. Same thing happened to me. I always got invalid phone number format. What should I do? Invalid number showing we chat I don’t know why. Sometimes, users are facing with this problem. The best solution for this error is reinstalling WeChat. Verification code my mobile number.